Sony's action game Gravity Rush is not actually in as much of a rush as previously thought. According to listings at GameStop and Amazon, the PlayStation Vita game has been delayed to May 29. 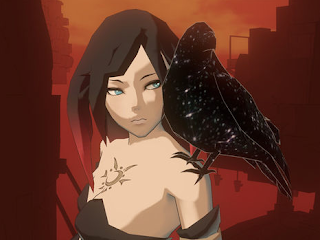 However the game is already available in Asia, Gravity Rush is also most likely pushed to May 29th in Europe also as currently no European website has the game up for pre-order. I know majority of our members were really looking forward to the game, so since the PS Vita is region free, you can import the game for the same price. And thats not all Shuehei Yoshida has confirmed that the Asian version has English settings!, so to order the game now just click the blue PS Vita banners on our website! Let us know what you think of the delay in the comments below!